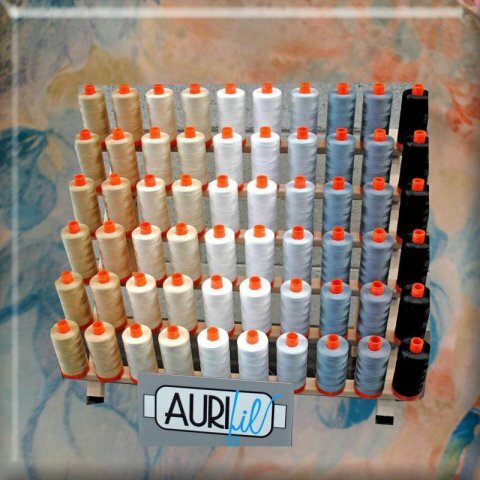 For those serging projects that need a softer edge (think baby blankets, etc.) 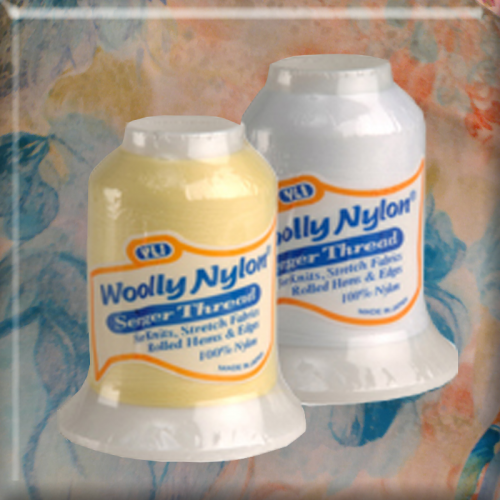 Wooly nylon is the ideal solution. Use in the lower and upper loopers. For easy threading, use a thread harness to feed through the looper threading path and then pull through the wooly nylon. 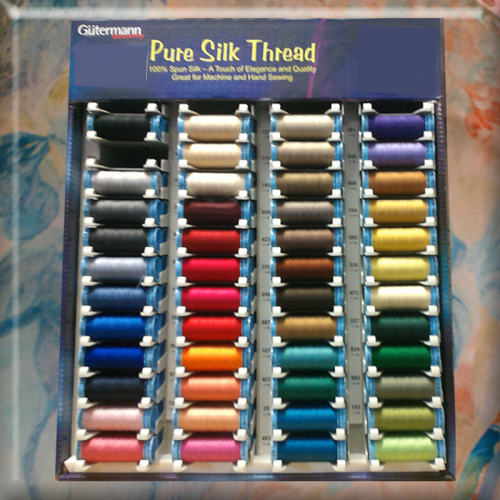 Pure silk thread by Gutterman for those beautiful fine silk creations in a nice selection of colors.